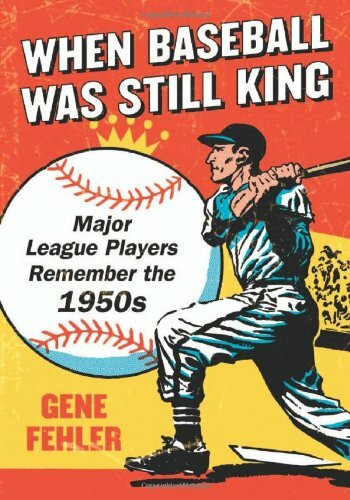 Baseball in the 1950s comes to life through the words of 92 players from the fifties. In their conversations with author Gene Fehler, they tell, in more than a thousand stories and comments, of memorable moments, their dealings with umpires and managers, injuries and trades that affected their careers, regrets and joys that still remain with them so many years later. Players spoken to include Hall of Famers, All Stars, journeymen, and a few who were in the big leagues for the proverbial cup of coffee. Regardless of stature, they all have wonderful stories to tell about big league life in the 1950s, high and low, and moments with other players. Gene Fehler is the author of ten books, including three poetry collections from McFarland. He still plays baseball with one of his grown sons in The Great American Pastime Baseball League in Simpsonville, South Carolina, trying to baffle hitters with his slow curve. His website is &lt;a href=http://www.genefehler.com&gt;www.genefehler.com&lt;/a&gt;.